West Palm Beach Acura. They are well-known for selling new and used vehicles. They primarily deal in Acura vehicles. They give easy and most enjoyable purchasing experience to their customers. They are known to be the number one Acura dealer in the vicinity of West Palm Beach area. One of their selling advantages is that they offer free of cost unlimited car washes with multiple services. They also offer free key replacement on the purchase of new Acura vehicles. They have the latest up to date and state of the art service facility. They also offer free Wifi and coffee in the waiting area. They are open six days a week. They have more than 25 certified Acura technicians. Their new inventory available at Napleton’s West Palm Beach includes: 2018 Acura ILX with AcuraWatch Plus, 2018 Acura ILX with Premium Package, 2018 Acura ILX Special Edition, 2018 Acura ILX Special Edition Elmhurst, 2017 Acura ILX with Technology Plus and A-SPEC Package, 2018 Acura MDX SH-AWD with Advance Package, 2018 Acura MDX SH-AWD with Advance Package and much more . Used cars inventory includes: 2015 Acura ILX West Palm Beach. 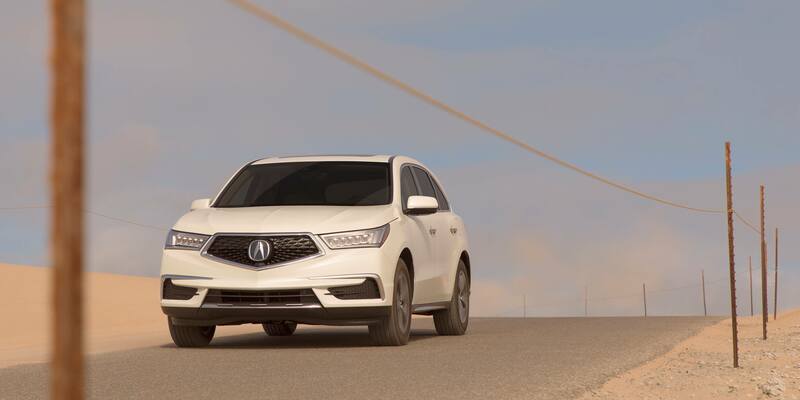 2015 Acura ILX 2.0L, 2017 Acura MDX 3.5L, 2015 Acura MDX 3.5L, 2015 Acura MDX 3.5L, 2015 Acura MDX 3.5L Technology Pkg w/Entertainment Pkg, 2017 Acura MDX 3.5L w/Advance Package, 2016 Acura MDX MDX and many more. They are also provide packaging options. Further, they can modify your car as per request to give a unique look to your car. You can choose as many options as you want from hundreds of choices to make your car look better. Napleton's Palm Beach Acura is located at 6870 Okeechobee Blvd, West Palm Beach, Florida. The staff at Napleton's West Palm Beach Acura is accommodating and polite. Napleton's Palm Beach Acura is located at 6870 Okeechobee Boulevard. West Palm Beach, Florida US. Napleton's Palm Beach Acura is an Auto sales type of establishment. Come on by or give us a call during business hours if you have questions (888) 980-7593. This site for Napleton's Palm Beach Acura was made to enhance this client's Internet presence and grow the WebPage Depot online business directory. WebPage Depot is designed for local directories and a exhustive business directory. This free business listing site provides a fully functional website. The WebPage Depot site marries seven social media accounts (if available), google maps, large pictures, a contact us page (protecting the client's email address), a link to the client's original website and relevant Youtube videos. Additionally, we write an original text Welcome Message. WebPage Depot does make some assumptions, with confidence, for the benefit of the client. We write everything from a positive aspect. Our goal is to ascend the visibility/ranking on this site to the highest level possible. Improvements to ranking come with additional relevant content. To continue this effort, we will need aid from the client, i.e., menus/list of services, specials, current pictures and videos and additional text for the Welcome Message.